On Wednesday 27th March, I left home early for a training day in the city. When I left, there was an empty paddock next door, but when I returned home an entire Church and Sunday school building had magically appeared (see the process below in a time lapse video). It is truly wonderful to see the answer to decades of planning and prayer for this next phase in the life of God’s Church in Wilton. Bob told me on Tuesday that he remembers plans for a new demountable Church on the wall in Wilton more than 20 years ago. The women’s Bible study have been faithfully collecting coins for years towards this project. This is a project that has been underway since the time the Boardman’s arrived in Wilton in early 2016. Now we have the opportunity and responsibility to ensure that a faithful ministry of the people of God can continue to grow and flourish in this place. We each need to take responsibility to commit to proclaiming new life in Christ, to growing others up in him, and to living in love for our brothers and sisters and our community. We each need to commit to praying that these facilities will be a platform for gospel ministry and the growth of God’s kingdom to establish and build the next generation of God’s Church in Wilton. 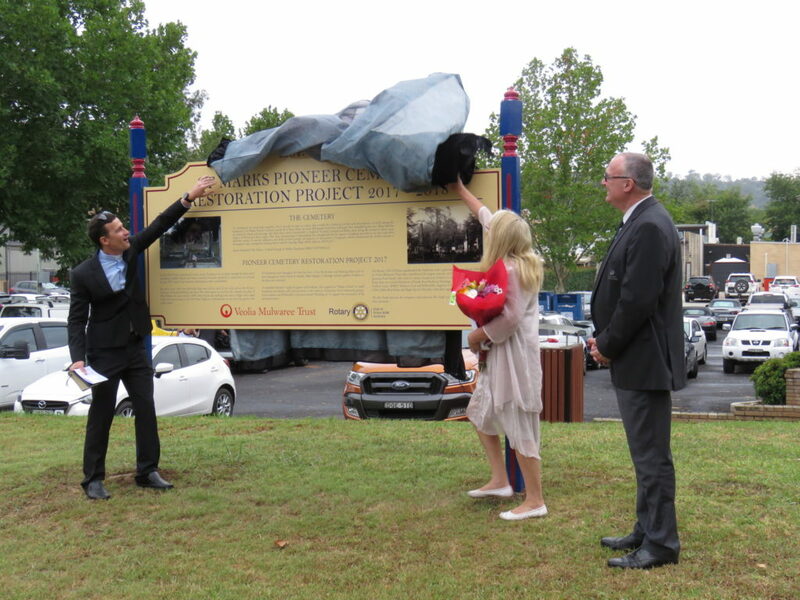 On Thursday 21st February, we celebrated the progress of the Pioneer Cemetery Restoration works after the June 2016 storm. About 60 people attended. 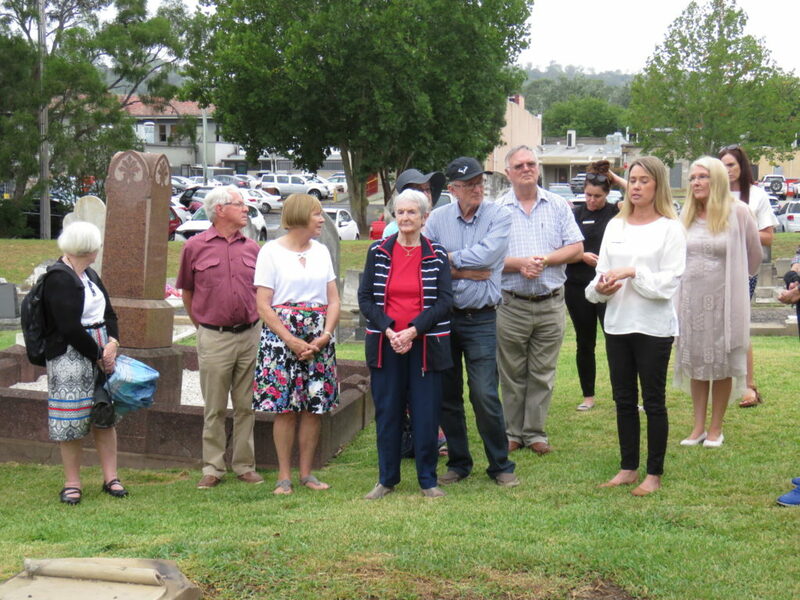 Aswell as celebrating the restoration works, we launched an Audio Tour of the cemetery, unveiled a new sign, and thanked our sponsors, including major sponsors, Veolia-Mulwaree Trust and Picton Rotary Club. 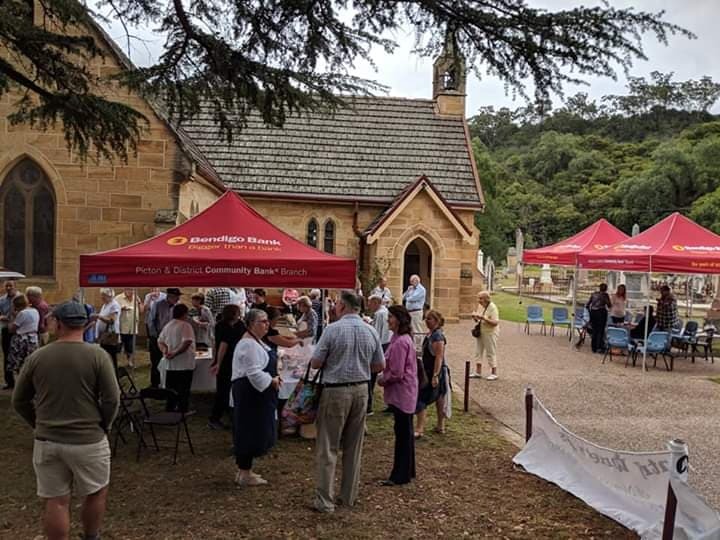 The event was a great success, with approximately 60 people attending and an afternoon tea provided by the Picton CWA. Particular thanks goes to Lyn Davey for her oversight of the fundraising and restoration project, along with the celebration event itself! 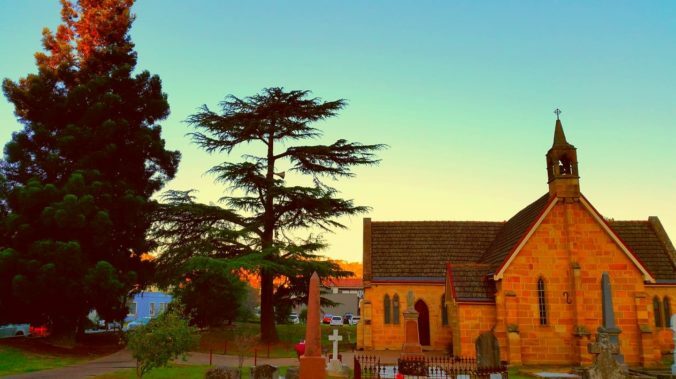 This Sunday, bells at Anglican churches across Greater Sydney and the Illawarra will ring to mark 100 years since the signing of the Armistice which ended World War One. Archbishop Glenn Davies has requested bells ring for one minute up to 11 am, which was the time of the signing and cessation of hostilities after four years of what became known as the Great War. It’s understood church bells will ring out in other parts of Australia, as they did in 1918 to communicate news that war was over. From a population of fewer than five million, more than 400 thousand Australian men enlisted, of which over 60,000 were killed and 156,000 wounded, gassed, or taken prisoner. At St Mark’s, Picton, we’ll conclude our regular Sunday service with a brief service of remembrance, followed by the ringing of the bell and two minutes silence at 11am. We do this to remember and say thank you for the great sacrifices made in order to preserve our freedom. May we never take this freedom for granted. We also give thanks and praise to God – who not only gives us all good things, but through Christ, has promised to carry us home to our eternal rest with him. Yesterday marked 2 years since the Picton flood, which devastated many peoples homes and a majority of Picton businesses. For the first few months after the flood I was nervous about any rainfall. Now, I find myself rejoicing at a mere sprinkle, and dancing in the streets (metaphorically) for a genuine downpour to drench our parched land. As we continue to read through Luke chapter 8 this week in Church, we encounter scenarios that are out of our control: a wild storm swamping the boat, an encounter with an out of control demon possessed man, a Father whose daughter is dying and a woman with permanent bleeding. This is life. Life in this broken world is full of scenarios that are out of our control, of suffering and pain alongside the joys and successes of life. 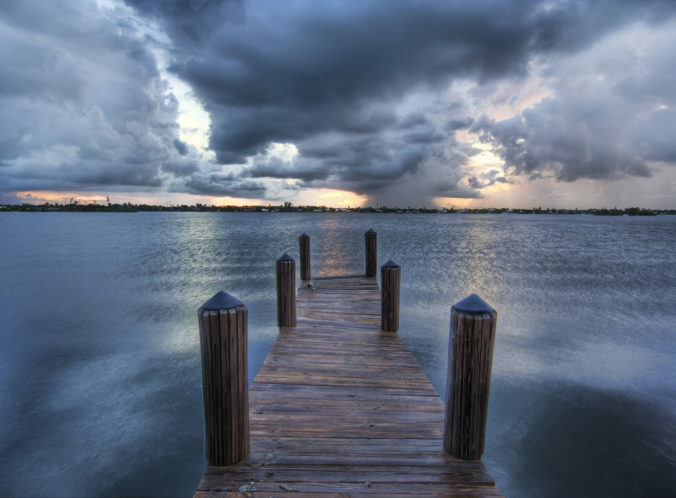 In the midst of the crisis we can be driven to despair by the helplessness of our situation, or to anger and frustration at God for allowing it to be so. But we see in Luke 8 that Jesus has power and control over every situation we might encounter. We can have confidence that he understands and sympathises with our trials and our suffering. We can also have confidence that he has power to overcome those situations or to give us strength to endure them, as the case may be. I’m thankful to God for the resilience and resourcefulness of our Church congregations in facing this and other challenges together. It’s a great blessing to be able to look to Christ for strength and to support one another as family in the midst of the joys and trials of life. It is amazing what faith can do for a person. If I have someone with me who I trust can help and will stick it out with me, I can cope with all sorts of fears and dangers. It’s no co-incidence that psychologists trace our anxiety or other mental disorders back to our relationship with our parents. If we are confident that we are loved by our parents, if we grew up knowing they were always there for us and we could always rely on them, then external fears or dangers didn’t trouble us as much. We had faith that we could always fall back on mum and dad. When the disciples are filled with fear because they are about to drown in Luke 8, Jesus links that fear to a lack of faith. It’s not that there is anything wrong with being afraid, its an important mechanism to motivate us to get to safety, to fight or flight. But if we trust in Christ, if we have faith in him, then all the external fears of life are put into perspective. We know that whether we are rich or poor, popular or friendless, in safety or danger, in life or even death – nothing can take God’s love in Christ Jesus away from us. Reaching the End of ourselves. 14/05/2018 / Ben / Comments Off on Reaching the End of ourselves. We like to think we are independent: calling our own shots, masters of our own destiny, and in control of our lives. But there are times when we come to the end of ourselves. Humbling moments where we realise we are utterly dependent on others and we can’t move forward without begging for help. The current drought we are experiencing is a perfect example – no matter how well managed, no matter how prosperous in the past, if there is no rain, there will be no grass for cattle to eat. Our farmers are calling out for help, and we have the opportunity to lend a hand. We all face this challenge in different ways and times in our lives. It might be in financial hardship, or relationship breakdown, or inadequate parenting, or just the combination of juggling it all becomes too much. We are not made to be independent of each other, we are not made to be independent of God. Why doesn’t God send the rain? I don’t exactly know, this is a broken world because of sin and that brokenness is seen even in the weather. But on these occasions we are reminded how dependent we are on God. We are reminded that we need him, and that we need each other. So, let’s pray for rain, acknowledging our dependence on him, and lets support each other, recognising that none of us can get by alone. 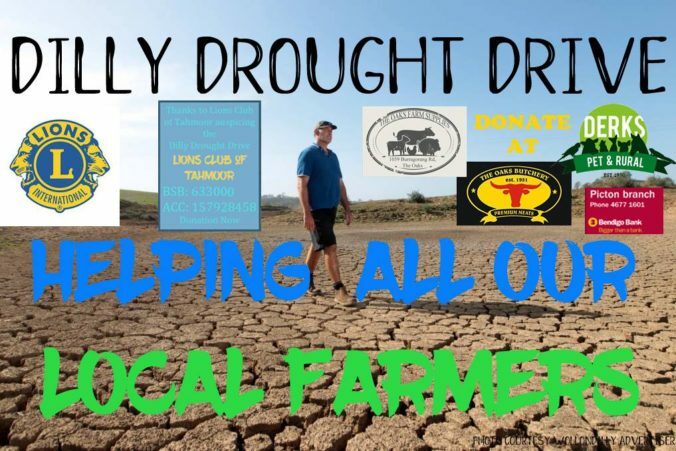 For information on the ‘Dilly Drought Drive’ and to help support local Wollondilly farmers in the drought click here. Do you ever find yourself in the middle of a conversation, where you have no idea what the person has been talking about? You’ve drifted off, distracted by thoughts about tomorrow, and they’re looking expectantly at you. Did they ask a question? What was it? You just nod your head and say ‘yes’ – and then seeing the surprise in their face change quickly to a ‘no, no, of course not’. They smile and go on. Relief. You got away with that one. 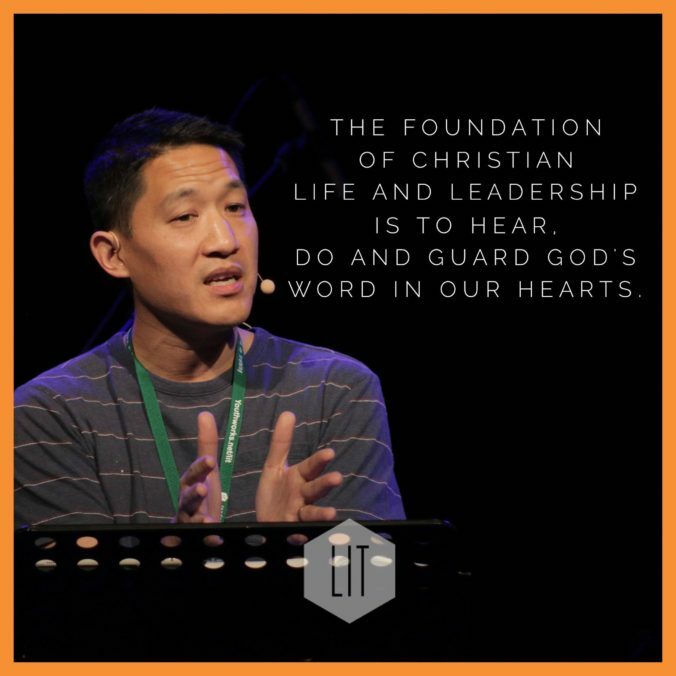 In Luke chapter 8, Jesus challenges us to listen and respond to the Word of God. Though Satan wants to steal the Word away from us, though there will be challenges, though there will be distractions, this is absolutely vital. As you come to Church, pray that you and others will be able to Listen well to the Word of God. As you go about your day, schedule in a moment to read God’s Word, look for a moment to encourage others in responding rightly to the Word of God. On the last day, when Christ returns, he will be looking at you expectantly. 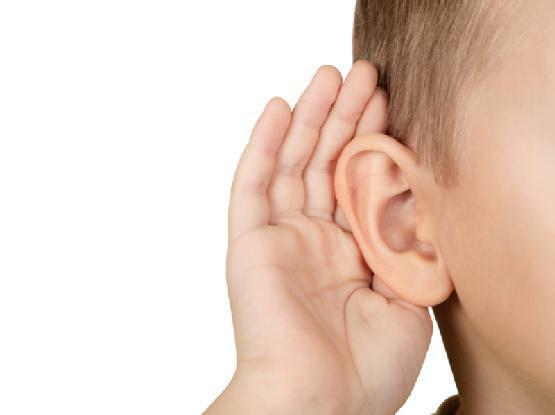 He will be asking you a very searching question: did you hear and respond to me? And you cannot bluff God. Hope you are enjoying some January downtime and refreshment, but also that you’re taking the time to set up for and look forward to the year ahead. 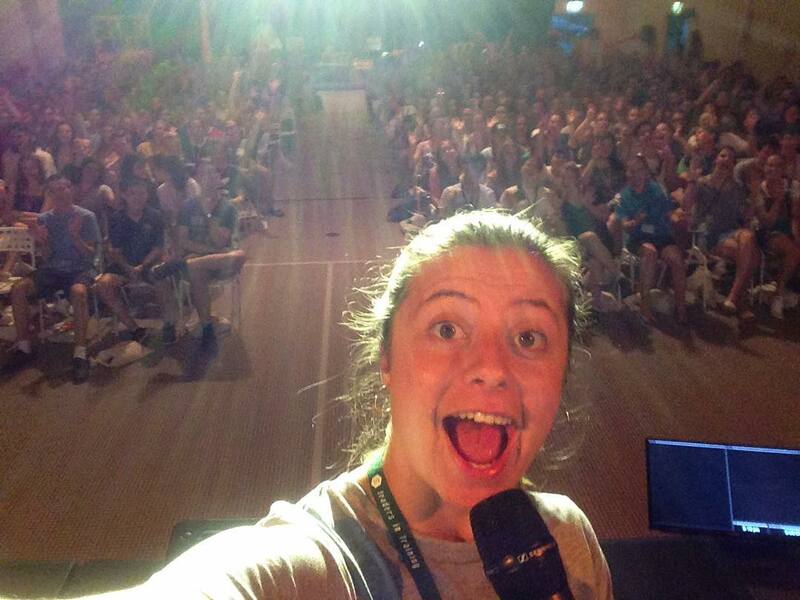 Right now I’m spending the week at Port Hacking, leading on a youth Leaders in Training camp with 440 people in attendance. I felt a little bit frustrated and annoyed on Wednesday when we arrived, because there is a lot to do before the school year gets underway, and because I wasn’t looking forward to 5 days away from family and home. But after just one day here, I’m completely convinced that its the right place to be. There are 400 teenagers here (including two of our own) eager to serve our Lord and be trained to lead God’s people. We are studying the book of Deuteronomy and thinking about how to read, understand and teach God’s Word to others, being trained in how to lead people to Christ and into maturity in Christ. Please pray that many many leaders of the future will be raised up to serve Christ’s Church and that in Wilton we will invest in the next generation of our Church. Another aspect of this is the arrival of Stuart McConnell. Starting this Sunday, Stuart is our new student minister, studying at SMBC and being trained as a leader among God’s people. We will give Stuart opportunities to serve and provide training, feedback and encouragement to him. Please take the opportunity to introduce yourself, set a date in your diary to have him round for Sunday lunch and pray for him to settle in quickly and grow and mature in his relationship with God in Christ and his ability to lead and to teach God’s Word. For the first 3 weeks in January we’re exploring 3 Psalms of David (all laments – or complaints). It’s interesting that such a variety of Psalms exist in the Bible through the collection of 150 preserved for us. The Bible is not like Facebook, or Photoshop – it presents a real and honest picture of God, his people and salvation. In each of these Psalms, David was not OK. He wasn’t happy with his life or circumstances or the way God was dealing with him. He didn’t pretend everything was OK, he brought his complaints to God by way of these Psalms and he called out to him for help. More than likely we’ll have many days / months / years when we feel the same. When we’re not OK, life isn’t going as we’d hoped, and we’re not happy with the way God seems to be dealing with the situation. That’s OK, that’s to be expected. Of course we’ll work with others to try to improve this situation, we’ll ask for God’s help and we’ll ask for help from others. But most of all we’ll cling to hope that things will improve. We’ll persevere with the assurance that we are loved and precious in God’s sight despite the difficult circumstances we’re encountering. It’s OK to be not OK. Let’s trust God and love and help each other in the different life circumstances that we each find ourselves. Sometimes we are told to ‘keep our religion to ourselves’ or that religion ‘has no place in the public sphere’, but Christianity has necessary public implications. 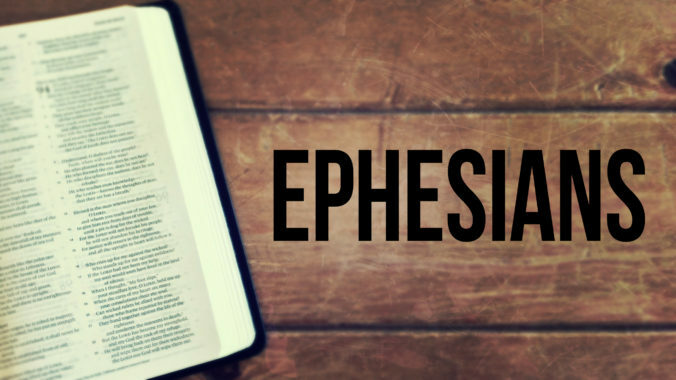 As we read Ephesians 2 and 3 (and hear it preached on this weekend) we see that God has brought us back into peace with him through Jesus Christ, we have gone from death to life. But Paul doesn’t end there. If we have been brought near to God and at peace with him, then the clear implication is that have also been brought into peace with one another. This should spell the end to racism and discrimination. Instead of fending people away from our country (refugees) shouldn’t we be welcoming them just as Christ has welcomed us? During this week we held the ‘race that stops a nation’. Others controversially protested, declaring instead that we are ‘the nation that stops the races’. How are you letting the grace of God impact your private and public life? How are you going at living in the humility and grace that Christ has demonstrated for us towards ALL women and men? We won’t do it perfectly, but we ought to look to Christ and give it our best!